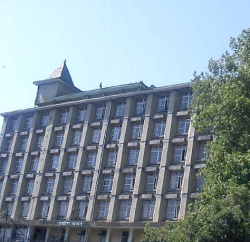 Himachal Pradesh Industries Department has completed acquisition of 643 bighas of land at Jhoru on the Tirlokpur Road near Kala Amb industrial area. The officials, including SDM and Member Secretary Industries G S Chauhan completed the land acquisition proceedings under Section 8 of the Land Acquisition Act and announced award of Rs 6.75 lakh per bigha. G S Chauhan said this would help provide land to the investors who were keen on setting up industries in the Kala Amb industrial area. There are about 300 small and big units here and with this acquisition industry department is hoping to catch more investors.